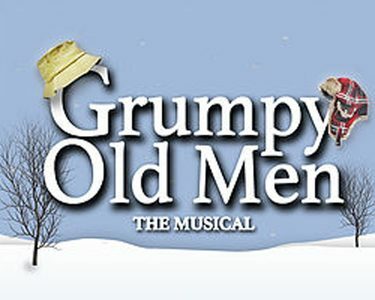 Fasten your seat belts, it’s going to be a grumpy ride! Don’t miss this laugh-out-loud story of family, friendship, love and romance in a fresh new musical at Circa 21 on Friday, April 26. Based on the 1993 movie starring Jack Lemmon, Walter Mattheau and Ann-Margret, “Grumpy Old Men” is the story of two aging neighbors, Max and John, who have been feuding for more than fifty years. When the beautiful and charming Ariel moves in across the street, the rivalry is raised to new heights! Can her love and compassion reunite their friendship? DeKalb County Farm Bureau has reserved seating for the show and lunch at the Circa 21 Dinner Playhouse in Rock Island. Farm Bureau members may register for this day trip beginning Monday, Feb. 4 at 8 a.m. by visiting or calling the Farm Bureau office, 815-756-6361. Spaces remaining will be sold at the Prime Timers luncheon that same day at 11 a.m. and thereafter at the Farm Bureau office. Cost is $74 for members, $84 for guests. Price includes the show, lunch and motor coach transportation. The motor coach departs from Farm Bureau at 9:30 a.m. and returns by 6 p.m. This day trip is being sponsored by the DeKalb County Farm Bureau Prime Timers Committee.